The engine fully supports both 2d and isometric rendering and can run either with or without multiplayer functionality. A build system is also included to automatically scan your final game code, detect the sections of the Isogenic API that you have used and minify your game and Isogenic into the smallest possible package ready for deployment. If you intend to use the Isogenic Engine's multiplayer stream system you will need to have a server with Node.js setup. If you are not developing a multiplayer game you can skip this step. All of the engine's dependencies will then be installed under the /ige/server/node_modules folder. If you follow this structure, you will be able to pull new versions of the engine in (or unzip them on top of) the existing “ige” folder without affecting your game code. You can also add your game folder to a public GitHub repo without including the private engine code accidentally (remember, publishing the engine’s code to the internet in its raw un-obfuscated form is against the terms and conditions of your license). Many browsers such as Google Chrome expect you to run web pages from an HTTP server such as Apache, NGINX or via a package such as WAMPServer (also uses Apache). If you do not you are likely to run into errors such as “Uncaught Error: SecurityError: DOM Exception 18″. Lots of users have found this error confusing and assume the engine is not working… PLEASE RUN FROM A LOCAL WEB SERVER! As a web developer, making web-based games and simulations, you should already have a local web server running. The game code for the example is located in the client.js file. Before you try to use the server-side, please ensure that you have Node.js and have run the engine installation. That will execute the IGE server and run the example in the 24.1-network-stream folder. Then you should open your browser and load the index.html file for the associated example from your webserver. Isogenic Engine will not serve static game files from the Node.js server, it only serves to handle incomming socket connections for multiplayer / streaming functionality. You must serve your game files from a separate HTTP server such as apache. If you’re wondering why that is, using Node.js to serve HTTP requests while also serving game server requests can cause the game server process to block when reading static files from storage. While this can be mitigated by running separate child processes it is pointless to write and maintain an HTTP server when so many existing projects already do the job. The IGE server is not meant to be a full HTTP server replacement and there are already many well-maintained applications that are excellent at providing multi-threaded HTTP services such as NGINX and Apache. 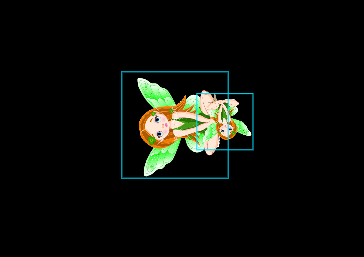 At a minimum to get some graphics on the screen you need to have both a viewport and a scene defined and added to the engine. That call will add a viewport with the id "vp1" and a scene with the id "baseScene" to your engine scene graph. The viewport is set to fill the screen to that your scene will be rendered across the entire canvas. In the code above we used the selector method to get the baseScene object by it's id, then we mounted the entity to the baseScene by calling the entity's mount() method and passing the baseScene object to it. The first call to texture() passes the texture the entity should render and the second to dimensionsFromTexture() tells the entity to size itself to the texture's dimensions (the image width and height).